-- -- "Foot stone. Baby Stone." NSF; from C Cox book. nee Thompson. 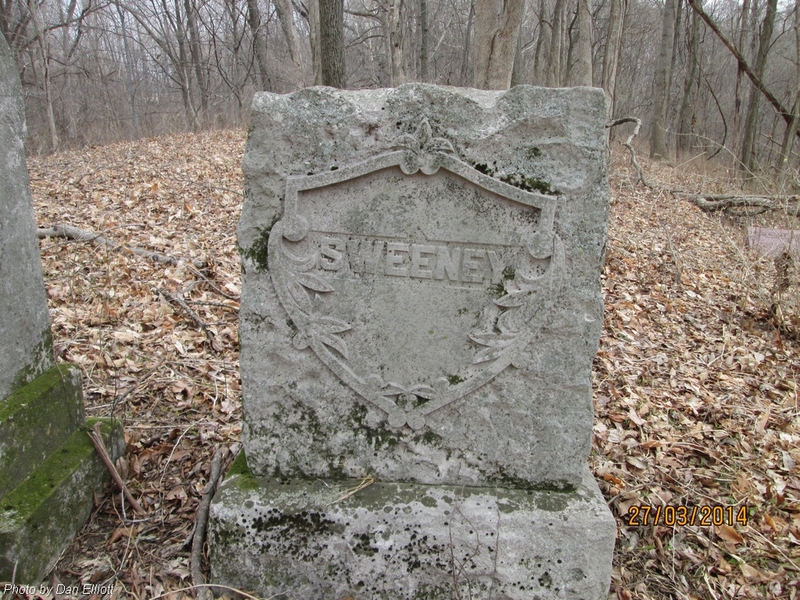 Wife of John McHenry. 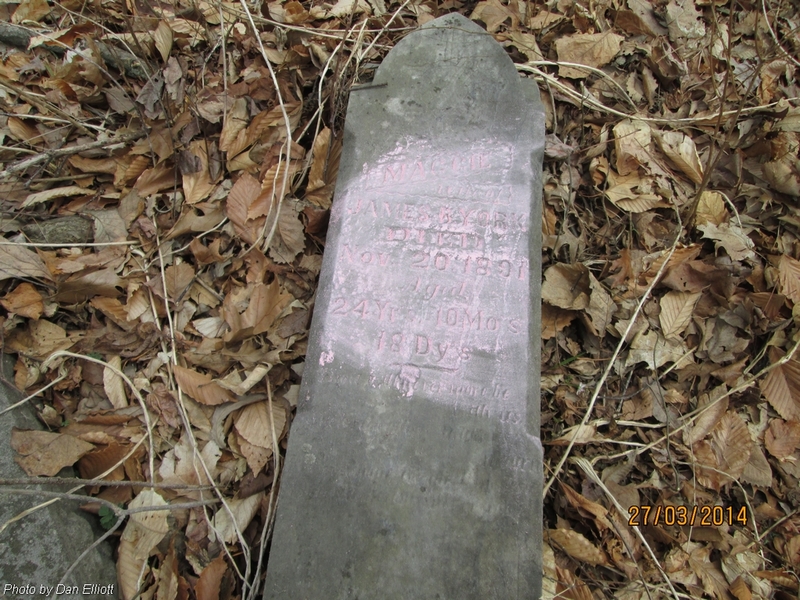 Married 17 Feb 1847. Daughter of John & Nancy Ann (Miller/ Mueller) Thompson. First husband of Margaret Ellen (Thompson) Munsey Sweeny. Married 26 Apr 1849 in Posey County, Indiana. Aged 59 Ys. 2 Ms. 18 Ds. 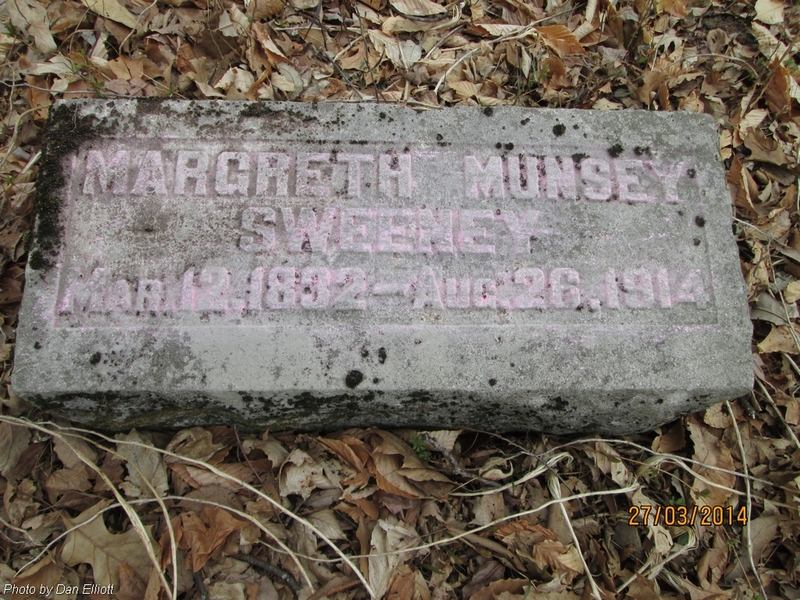 Son of Francis Asbury Munsey & Margaret Ellen (Thompson) Munsey Sweeney. Aged: 7 y's. 6 m's. 26 d's. Daughter of Francis Asbury Munsey & Margaret Ellen (Thompson) Munsey Sweeny. Note: Dates from C Cox. Cemetery Book. Husband of Lucinda C (Alldridge) Munsey, 1st, married 17 Sep 1876; and Caroline "Carrie" (Callew) Munsey, 2nd, married 5 Nov 1882. 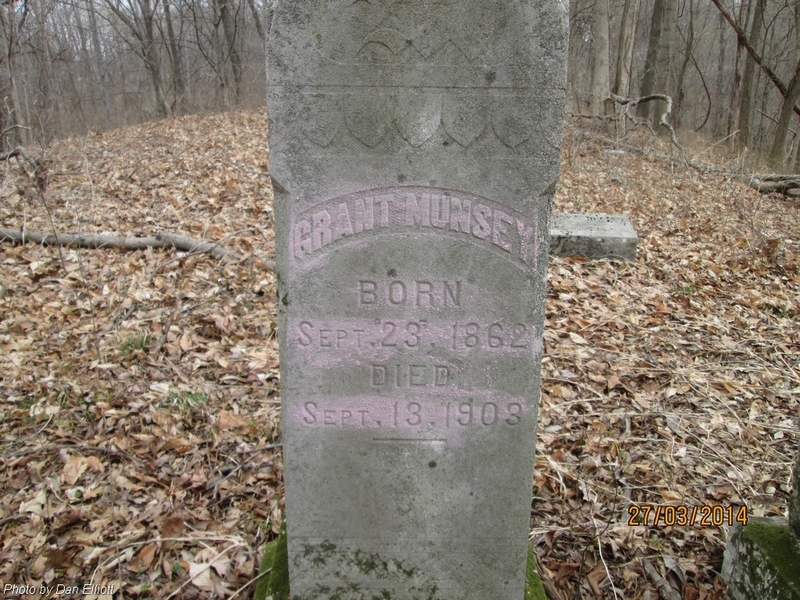 Son of Francis Asbury Munsey & Margaret Ellen (Thompson) Munsey Sweeny. Aged: 27 Ys. 7 Ms. 29 Ds. Aged: 20 Y's. 7 M's.12 D's. Son of Benjamin "Ben" & Neva M (Vines) Stoneberger. Born in Vanderburgh County, Indiana. Cause of Death: "Acute Gastritis." nee Thompson. 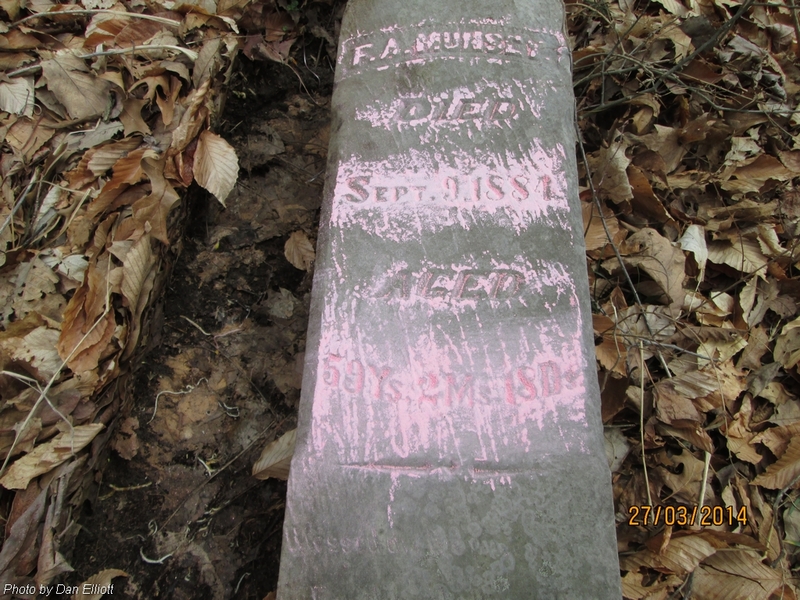 Wife of Francis Asbury Munsey, 1st, married 26 Apr 1849 in Posey County, Indiana; and William Sweeny, 2nd, married 3 Aug 1894 in Posey County, Indiana. Daughter of John & Nancy (Miller/Muller) Thompson. Cause of Death: "Chronic Valvular Endocarditis"
Son of John & Nancy Ann (Miller/Muller) Thompson. 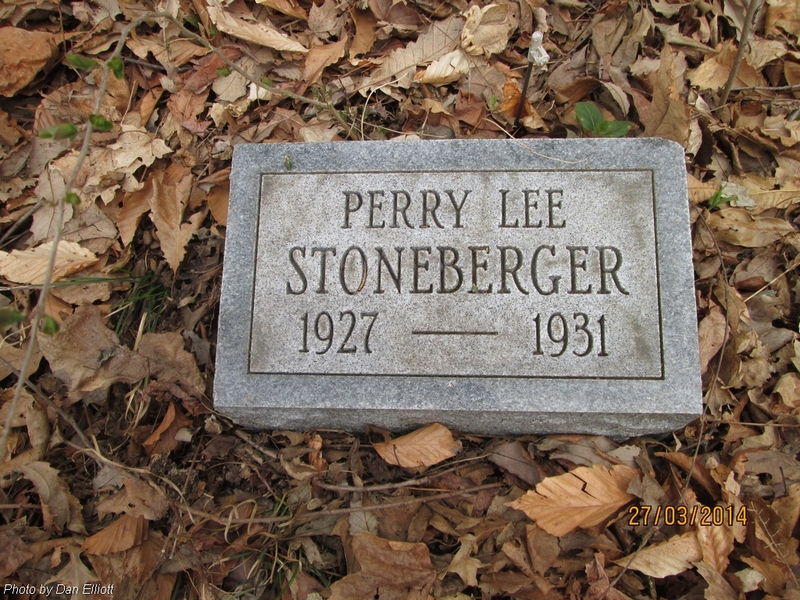 Note: Father and son share the large headstone and the footstone. 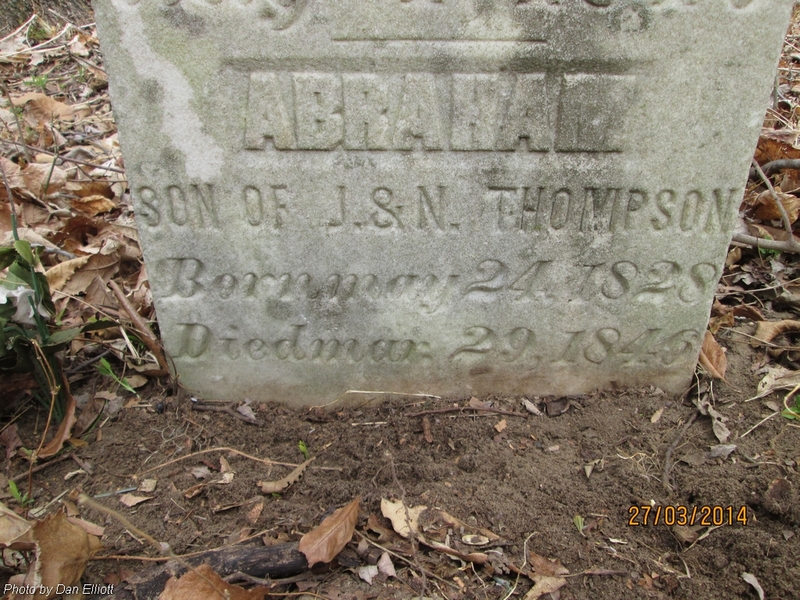 Husband of Rhody (Sturdivant) Thompson, 1st, married 26 Apr 1821 in Posey County, Indiana; and Nancy Ann (Miller/Muller) Thompson, 2nd, married 15 Mar 1825 in Posey County, Indiana. 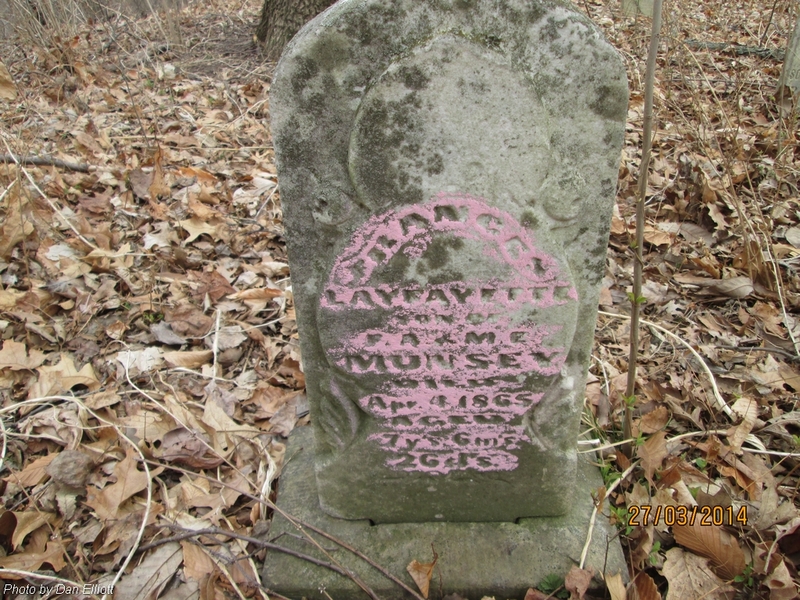 Infant son of Charles Wesley & Nancy Ann (Munsey) Vines. 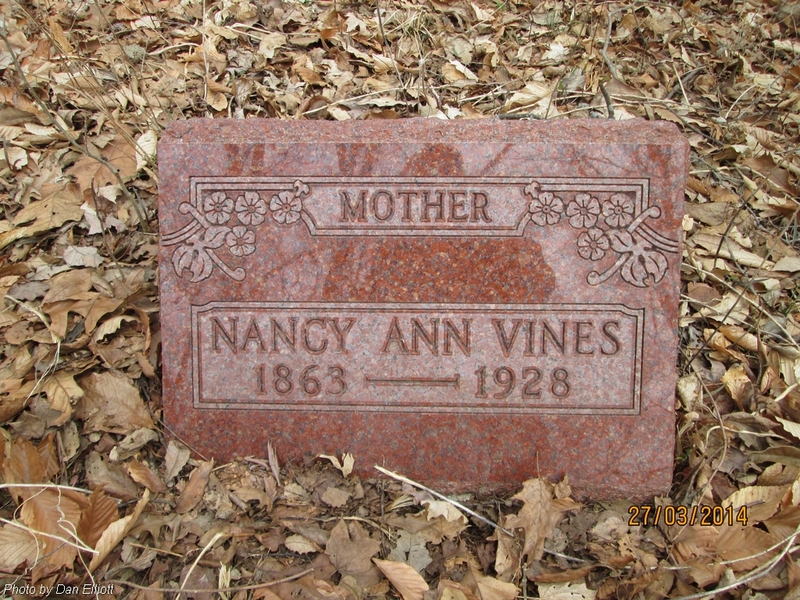 Husband of Nancy Ann (Munsey) Vines. Married 4 Aug 1878. 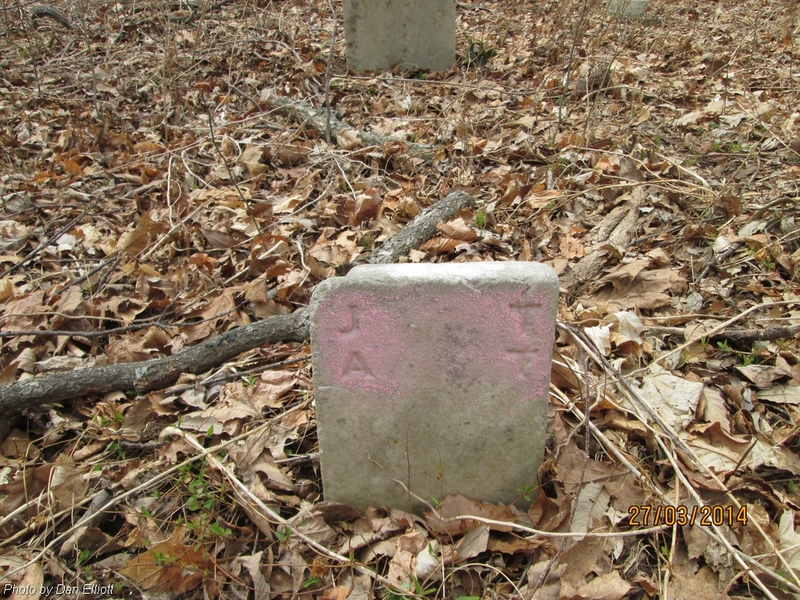 Son of William & Rebecca Jane (Jeffries) Vines. 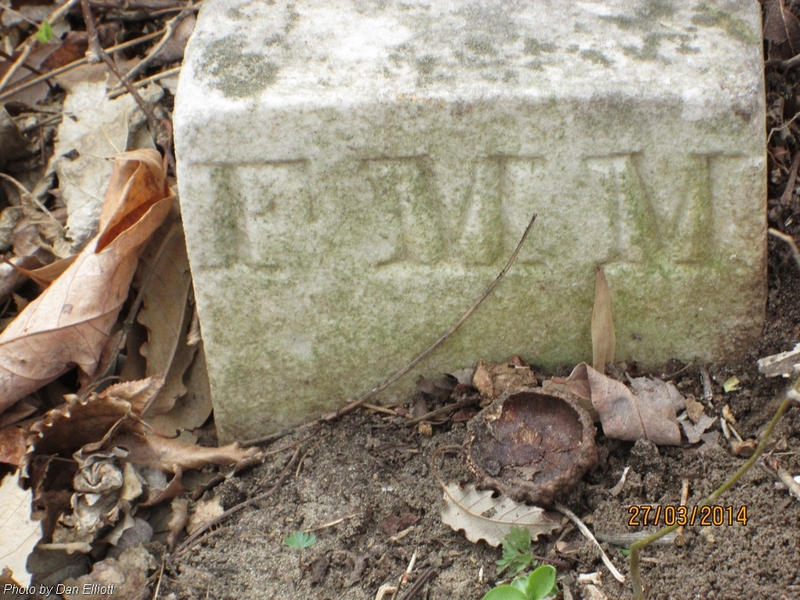 Died in Evansville, Vanderburgh, Indiana. Note: Health Dept. records record the day of death as the 15th. nee Munsey. 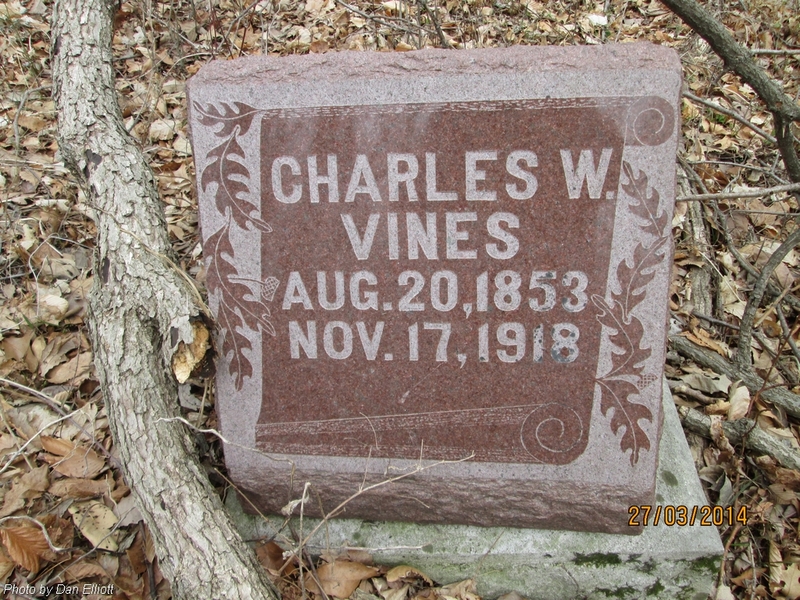 Wife of Charles Wesley Vines. Married 4 Aug 1878. Daughter of Frances Asbury & Margaret Ellen (Thompson) Munsey. 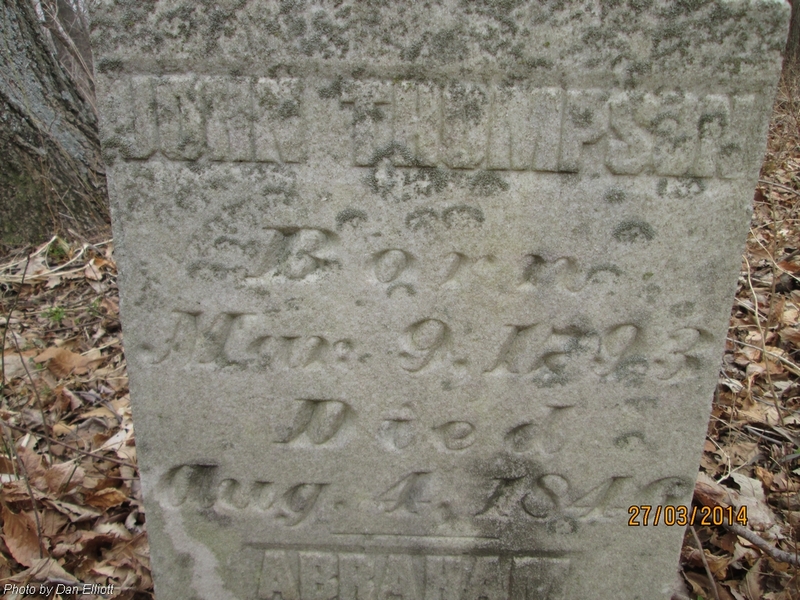 Died in Lynn Twp., Posey, Indiana. Note: Posey County Health Dept. 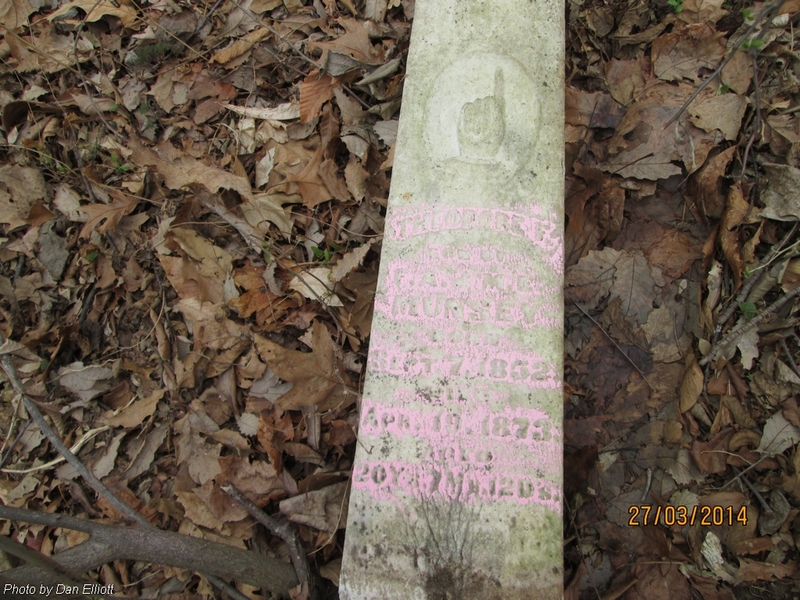 Death records report her death as 24 Nov 1864. Cause of Death: "Chronic Myocarditis." Husband of Margaret "Maggie" (Muncey) York, 1st, married 14 Mar 1889; and Grace (Hungate) York, 2nd. 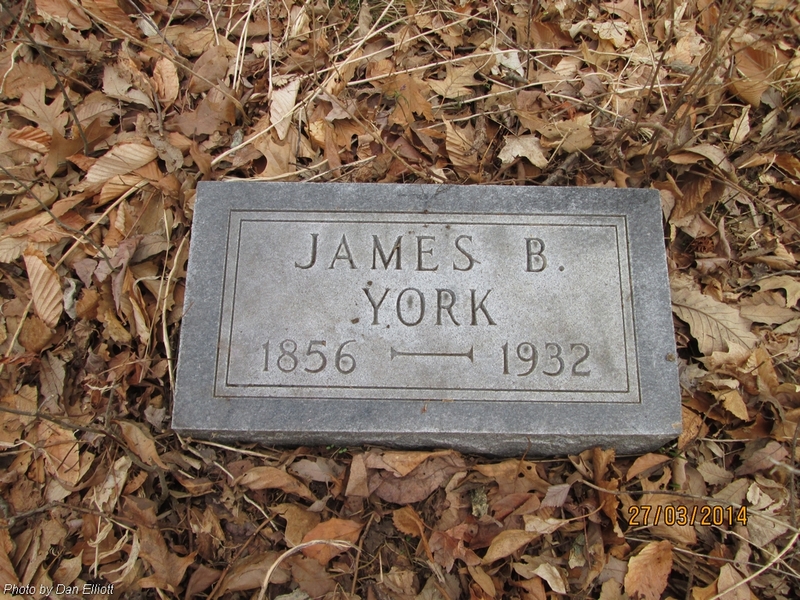 Son of James & Rachel (Robinson) York. Cause of Death: "Angina Pectoris." nee Munsey. First wife of James Buchanan "Buck" York. Married 14 Mar 1889. Aged: 24 Yr's. 10 Mo's. 18 Dy's. 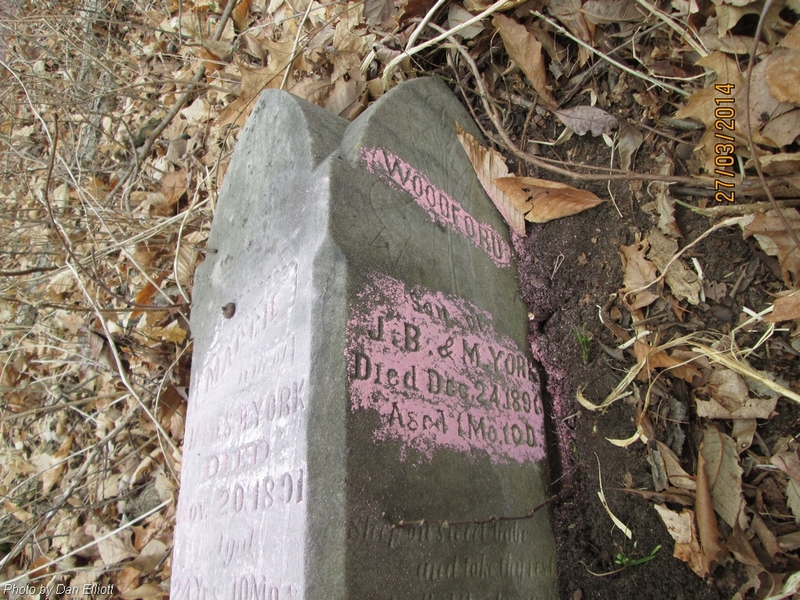 Son of James Buchanan "Buck" & Margaret "Maggie" (Munsey) York. Aged: 1 Mo. 10 Dy's. 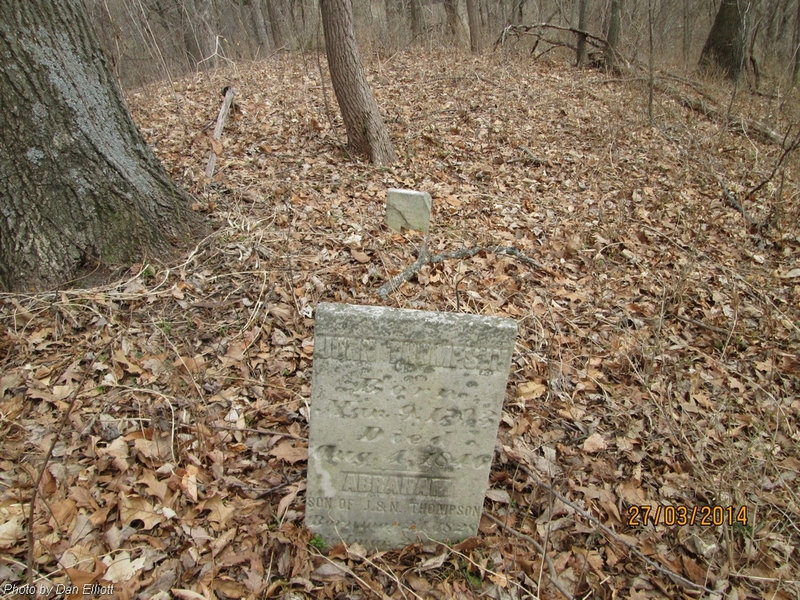 Thanks to Randy Alsop for helping locate the cemetery. 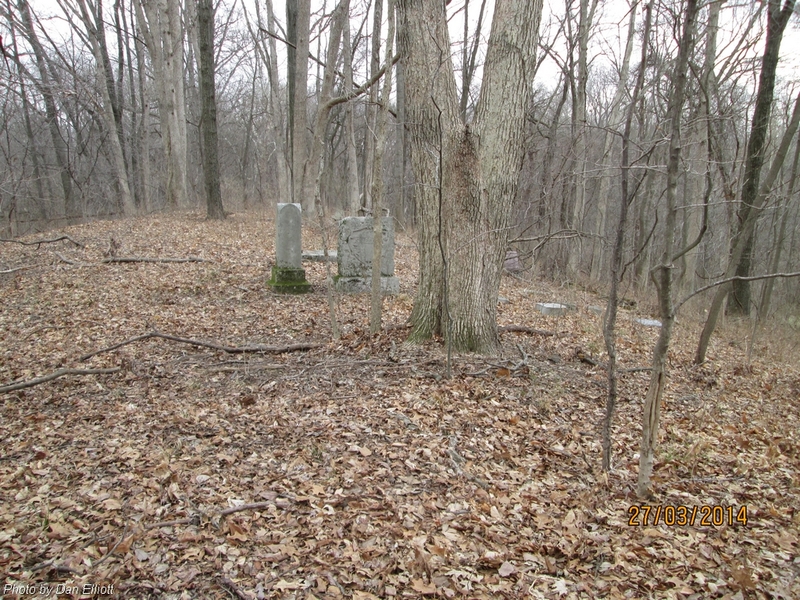 View of cemetery looking to the east. 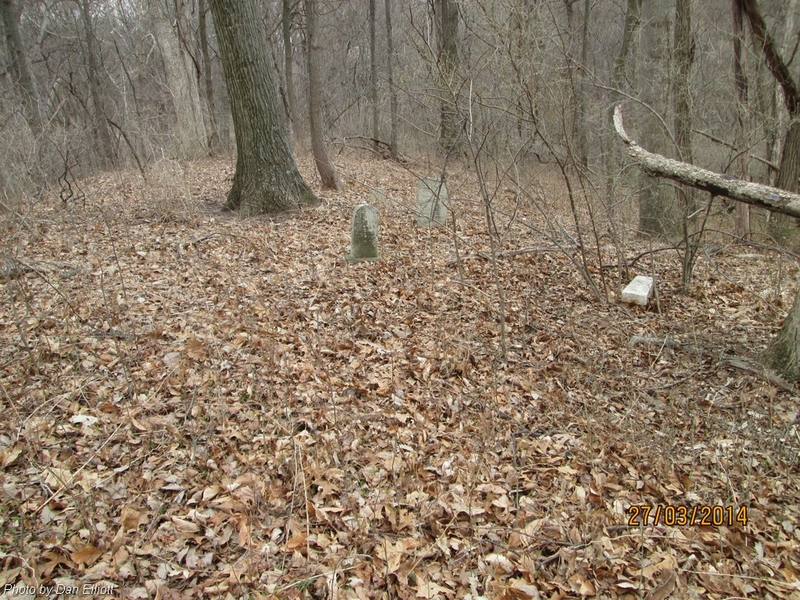 View of the east end of cemetery from near the center. 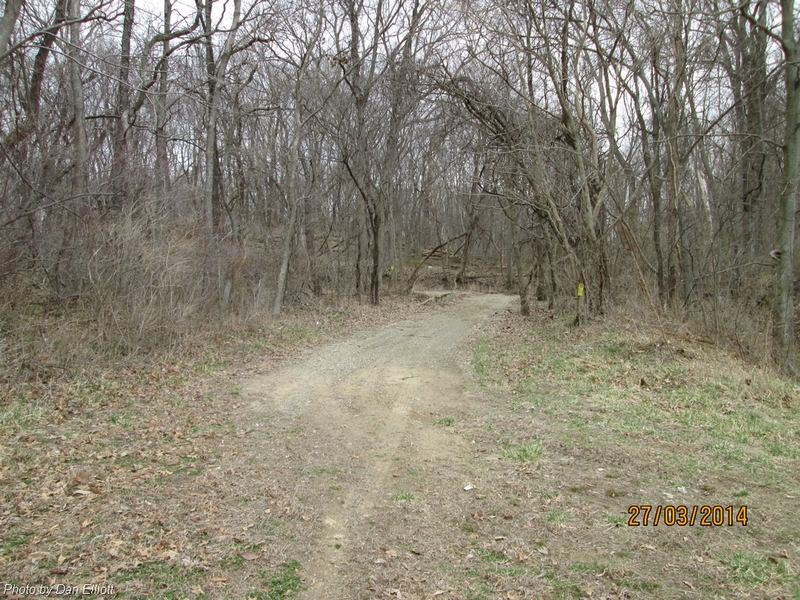 View of (west) end of Vines Road. 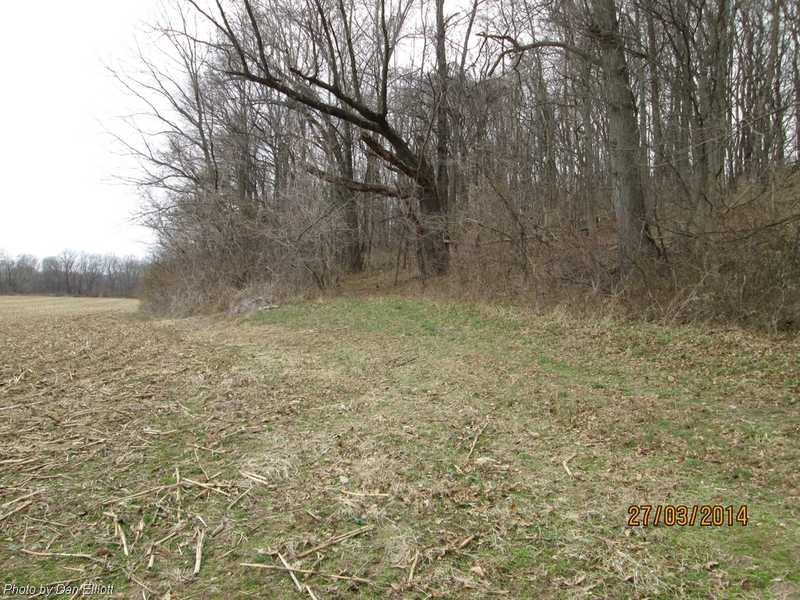 Path (center of photo) goes west and then up the hill; cemetery on top to the east.